Shalom. Our teaching this morning will be from Exodus 28.36-37. EXODUS 28.36-37 Aaron the High Priest wore on the front of his mitre, a mitre is a turban, a narrow gold plate with the engraved words KODESH LA’YEHOVAH, HOLINESS TO THE LORD. And the gold plate was fastened to the turban by blue lace. The engravings of a signet is a carved or engraved impression that was used to make a distinctive design in a signet ring or in precious stones, or in other things such as the pure gold plate that had the words HOLINESS TO The LORD engraved in it. And as GOD is Holy, we too should be Holy. So our teaching this morning will be about HOLINESS TO The LORD. But those who obey The Holy GOD, doing according to all His Law of Moses, which is not difficult, GOD will hear, and it will be done. VERSE 24 This Man is Yeshua The Messiah. He is Melchizedek, Priest of The Most High GOD, Who is GOD Almighty, The One GOD of Creation Who appeared to Abraham, Isaac, Jacob, Moses, and others. And as a human being, He came to the lost sheep of the House of Israel as Messiah Yeshua. And because He lives forever, His position as High Priest does not pass on to someone else. VERSE 25 Messiah is able to save and deliver them to the uttermost, totally and completely, those who come to GOD by Him. Messiah, Who is GOD Almighty, Jehovah is able to deliver us from the power and consequences of sin. The consequence of sin, breaking GOD’s Law of Moses is death. See Matthew 7.23. But having atonement through Messiah’s death, GOD saves and delivers us from all our sins completely. GOD forgives our iniquity, and remembers our sin no more. That is truly the love of GOD. And Messiah lives forever to make Intercession for us. When we need help, Messiah prays to The Father for us, as we pray for others. That is Intercession, and GOD always delivers us. And that is also GOD’s love. I know that Messiah Who is GOD Almighty, Jehovah, praying to, and interceding to GOD Almighty, The Father might be difficult to understand. But there is only One GOD. Elohim is GOD. Elohim is a plural Hebrew word for GOD though He is The One GOD and there is only One GOD. Elohim is The Father, He is Jehovah, He is GOD The Son, He is GOD The Messiah Yeshua, He is GOD The Holy Spirit, and oftentimes He is The Angel of GOD. He is The Presence of GOD, and The Glory of GOD. GOD can be whatever He chooses, yet there is only One GOD. GOD can be in many different places physically, and be seen all at the same time. But there is only One GOD. GOD is not a human being as we are. He is GOD. He created the Heavens and the earth, and all that is in them. And He dwells in Heaven, and He dwells in us. And GOD intercedes for us to GOD. Not only is that the love of God, it is remarkable and comforting. DEUTERONOMY 6.4, DEUTERONOMY 4.35, 39, MARK 12.29. Therefore I (GOD) will divide to Him, or distribute to Him, (to Messiah Yeshua), a portion, or inheritance with the great. The great are the true Believers, and according to Revelation 21.7, our portion is to inherit all things with Messiah. And Messiah will divide the spoil with the strong. The strong are the true Believers in Messiah. The spoil is everlasting life with Messiah in Heaven. And Heaven is supernatural beauty and magnificence unlike anything, or anyplace we have ever seen or experienced. Where GOD will dwell with us Physically and Spiritually. Where there are no more tears, no more death, neither sorrow, nor crying, neither will there be any more pain, for all the grief and troubles of today will pass away. That is GOD’s promise for salvation. And that is GOD’s love. Revelation 21 and 22. Because Messiah has poured out His Soul unto death to be our Atonement for the forgiveness of our sins. And He was numbered with the transgressors though no sin was in Him. And He bare the sin of many. He took on our punishment for our sins. And He was killed in our place. The punishment for sin is death unless it is atoned for. And Yeshua is our Atonement. GOD has forgiven all our sins, and Messiah stepped into our place and took on our punishment. Greater love has no man than this, that a man lay down His Life for His friends. John 15.13. And He made, and still makes Intercession for the transgressors who have Atonement through Messiah. Messiah prays to The Father whenever we need help, whenever we’re in crisis, and GOD always delivers us. GOD is My Salvation. HE is My Yeshua. All Messianic prophecy is fulfilled in Messiah Yeshua. Let’s return to Hebrews 7.26. VERSE 26 This High Priest, Yeshua The Messiah, Who is Jehovah, The GOD of Abraham, Isaac, and Jacob, became us. That is, Messiah meets all our needs. He is Holy, perfect, pure, without sin, and harmless. There is no evil in Him. He is undefiled, separate from sinners, and raised higher than the heavens. Yeshua gives an excellent explanation to David’s words, “Worship The LORD in the beauty of Holiness”. JOHN 4.23 The true worshippers in Messiah must worship The Father in the beauty of holiness. That is in Spirit and in Truth. In Spirit is having The Holy Spirit because of our belief in Messiah, and our obedience to Torah, GOD’s Law of Moses. That is worshipping The Father in Truth. Thus worshipping The LORD in the Beauty of Holiness is worshipping The LORD our GOD in Spirit and in Truth. And there is no better place to be than in the Beauty of Holiness. Acts 5.32. Psalm 111 is an excellent portrait of The LORD, and His Holiness. PSALM 111.1 Praise ye The LORD in Hebrew is HALLELUYAH. 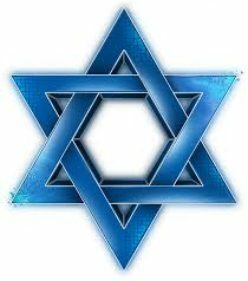 bsp; The upright are those who are holy and just, living by GOD’s Torah, His Laws, instructions, and teachings all written in The Law of Moses. And in the congregation, the people of GOD. VERSE 2 The works of The LORD are great, and people search out His greatness that is within reach to all who desire Him. VERSE 3 His work is honorable and glorious, beautiful and excellent, majestic and magnificent. And His righteousness endures forever. His virtue is everlasting. VERSE 4 GOD has made His wonderful works to be remembered forever. And The LORD is gracious, full of compassion, and merciful. VERSE 5 He will always give food to those who fear Him. And He remembers His Covenant forever, His Word, and His Torah, GOD’s Laws, instructions, and teachings. Psalm 105.8-10. VERSE 6 Part of GOD’s great works is giving His people the inheritance of the heathen. The Complete Jewish Bible reads, “He shows His people how powerfully He works by giving them the nations as their heritage”. The writer of this Psalm might mean that GOD gave the land of Canaan to the Jewish people when He delivered them from Egypt. But I believe the writer is speaking of GOD giving the Jewish people many nations at The LORD’s return during the 1,000 year Millennium. Let’s look at some Scriptures. DEUTERONOMY 32.8 When The Most High gave the nations their inheritance, that is their countries, when He divided the human race, He allocated the boundaries of their countries according to Israel’s population. GENESIS 22.15-17 And your seed shall possess or inherit the gate of his enemies. Gate can also mean cities, or the gates of a land, or the entrance of a land or country. I believe that this passage along with Psalm 111.6 means that Abraham’s seed, the Jewish people who descend from Abraham, Isaac and Jacob will inherit and take ownership of those countries who for centuries have been enemies to the Jews, and there are many. This will happen in The Millennium. JEREMIAH 23.5-6 In those days of King Messiah’s Reign over all the earth during the 1,000 year Millennium, I believe that Jewish men and women with strong belief in Messiah, and strength in Torah will carry out GOD’s justice and judgment in the earth in those countries, along with non-Jewish people who comply with GOD’s words written in Numbers 15.16, One Law, The Law of Moses, and one standard of judgment, according to The Law of Moses, shall be for the Jewish people and the non-Jewish people who live with you. Let’s return to Psalm 111, the power and holiness of GOD. VERSE 7 GOD’s works are truth. His judgments are according to His Laws. All His Commandments are true, established forever. They are faithful and can be trusted. VERSE 8-9 GOD’s Commandments stand forever. They are done in truth and uprightness. He always delivers His people. Holy and reverend is His Name. Reverend in Hebrew is YAH’RAY meaning GOD is awesome, and we should fear Him, even be afraid of Him, and do what He says. VERSE 10 The fear of The Holy GOD is the beginning of wisdom. When you fear GOD and do what He says, that is the beginning of wisdom. A good understanding have all they practicing them. That is fearing GOD, and keeping His Commandments. John 14.15. A good understanding in Hebrew is SAY’KHEL TOVE. SAY’KHEL is understanding, intelligence, success, prosperity, and wisdom. All who fear GOD, and keep His Commandments, The Law of Moses have say’khel, wisdom. And yes, His praise endures forever. And that is Holiness To The LORD, fearing GOD, and keeping His Commandments. For it is written, “You shall be Holy, for I The LORD your GOD am Holy”. Leviticus 19.1-2, 1 Peter 1.15-16. Posted on November 24, 2013 Categories Uncategorized19 Comments on HOLINESS TO THE LORD. Shalom. Our teaching this morning will be from Exodus 28.31-35. EXODUS 28.31 The robe of the ephod, remember, the ephod that the High Priest wore was an apron like garment made of beautiful needlework of gold, blue, purple, scarlet, and fine twined linen. And the ephod was worn over the High Priest’s robe and coat. The ephod also had an onyx stone on each shoulder with the names of the twelve tribes of Israel engraved in them. And the breastplate was worn in front of the ephod. The breastplate was made like the ephod, of gold, blue, purple, scarlet, and fine twined linen, and had the urim and thummim inside it. The urim and thummim, as you remember, was a device that was used to obtain GOD’s decision on important questions. The breastplate also had the names of the children of Israel engraved in twelve precious gems, three gems in four rows in front of it. And the robe of the ephod was made all of blue. EXODUS 28.32 The opening in the top of the robe for the priest’s head was woven like a coat of armor so it wouldn’t tear. And the robe itself resembled an ankle length sleeveless shirt. EXODUS 28.33-34 On the bottom of the coat’s hem were pomegranate shaped tassels of blue, purple, and scarlet, and bells of gold between them all around the robe. Pomegranates, as you know, are apple like fruits with many seeds inside. EXODUS 28.35 And Aaron wore the robe with the pomegranates and bells when he ministered to The LORD in the Sanctuary. And the sound of the bells was heard when he entered the Sanctuary before The LORD, and when he came out. Now, there are many opinions why The LORD commanded the High Priest to have bells on the hem of their robe when they entered the Sanctuary to minister in the Presence of The LORD. Here are some of those opinions. The purpose of the bells is not clear. Well, yes, there is a purpose. An ominous, or evil omen explanation is that the bells were apotropaic devices. Meaning the bells had power to turn away evil and protect the Priest from demons. Well, certainly GOD is capable of protecting the Priests all by Himself. He doesn’t need bells. Another opinion for the bells is that one does not approach The LORD unannounced. Well, GOD Almighty The Messiah says, “I Am with you always, even unto the end of the world”. Meaning forever. Matthew 28.20. We can always approach The LORD, even unannounced. That’s called prayer. Another explanation for the bells is that the sound enabled the people to know that the Priest was still alive. Nice, but that’s nowhere in Scripture. The LORD spoke to Moses. Spoke in Hebrew DAH’BAYR meaning COMMANDED. It is a Command of GOD. The Hebrew word for saying, with regard to The LORD saying, is LAY’MOR – meaning Commanded. GOD Commanded Moses to have the bells made for Aaron’s coat. EXODUS 28.35 It shall be upon Aaron, the bells. It’s a Commandment. And the answer I believe The LORD revealed to me is that Aaron would die if he did not do as The LORD commanded him. If Aaron did not wear the full complement of the priestly garments GOD had Commanded, together with the pomegranate tassels, and the bells, Aaron would die if he disobeyed GOD’s Command. There are many themes in The Bible about GOD. Just to mention a few; GOD’s love, His gentleness, His blessings, His greatness and power. His holiness, His Truth, His Word and righteousness and Salvation. And His requirement to obey His Commands. Or as Yeshua said, “Every Word that proceeds out of the Mouth of GOD man must live by”. Matthew 4.4, Luke 4.4. The Words that proceed out of the Mouth of GOD are His Laws and Commands. And all GOD’s Laws and Commands are written in The Law of Moses. JOSHUA 1.7-8, JOSHUA 8.31, ETC. And if Aaron did not obey GOD, he would die. Aaron’s two sons, Nadab and Abihu disobeyed GOD by offering strange fire, or strange incense that is burned by fire before The LORD that GOD Commanded not to do. And they both died before The LORD. GOD Commanded Adam and Eve, the whole world knows this. Many joke about it. Others disregard it. And yet most Bible scholars don’t know the significance of it. GOD Commanded Adam and Eve not to eat from the tree of the knowledge of good and evil. “In the day that you eat from that tree”, GOD SAID, “you will surely die”. Adam and Eve were created to live forever, meaning mankind after them would live forever, except for Adam and Eve disobeying GOD. And they died as GOD SAID. And all mankind dies because Adam and Eve disobeyed GOD’s Command. GENESIS 3.17 GOD has cursed the ground that mankind lives on because of Adam and Eve’s sin, their disobedience to GOD. Disobedience to GOD is sin. A curse is evil and misfortune inflicted on something. GOD has cursed the ground because they disobeyed GOD’s Command. Adam and Eve disobeyed GOD, and did what satan told them to do, rather than obey GOD’s Command and do what GOD Commanded them to do. satan deceived them, and satan continues to deceive the world today, telling mankind they don’t have to obey GOD’s Commandments and Laws, GOD’S Law of Moses. And satan has plenty of ministers preaching his lies. 2 CORINTHIANS 11.13-15 Many Bible teachers sound good, look good, but teach lies by either disregarding GOD’S Law of Moses, or aggressively lecturing that GOD’S Law of Moses is no longer effective because Christ has fulfilled the Law by His death on the cross. Thus the Law has no validity, these false teachers say. That is false and deceitful. They are ministers of satan, the one who tricked Adam and Eve telling them they do not have to obey God. It is so rare to hear someone outside The Bible teach the urgency and crucial importance of obeying GOD, to obey His Commands and His Law of Moses. And it is so rare to hear a Bible teacher teach the blessings that result from obeying GOD’S Commands and His Law of Moses. Yes, most Bible teachers teach about GOD’s blessings, but conveniently leave out GOD’S requirement to obey His Law of Moses to receive those blessings. And it is even more rare to hear a Bible teacher teach of the curses that might come upon individuals because they disobey GOD and His Law of Moses. VERSE 1-2 Shall we continue to sin? Shall we continue to break The Law of Moses? GOD forbid. VERSE 4 Walking in Newness of Life is believing in Yeshua The Messiah, and obeying GOD’s Word, and living our life by His Law of Moses. VERSE 6 Yes, The old person is crucified with Messiah when we stop sinning. And that is accomplished by belief in Messiah, and obeying GOD’S Laws that are written in the Law of Moses. Thus we will not serve sin. And we must not serve satan by continuing to break The Law of Moses. GOD Almighty, Jehovah made Himself a man in the Person of Yeshua The Messiah to be our Atonement for our sins, so we won’t die but live forever throughout eternity in Heaven, John 11.26. That is why Messiah died on the cross, to be our Atonement. Thus when individuals from all religions, cultures and backgrounds come to belief in The Messiah Yeshua, GOD puts His Law of Moses in our hearts TO OBEY HIM. Jeremiah 31.31-34, Hebrews 8.8-12, Hebrews 10.16-17. Unfortunately, there are masses of people and masses of Bible teachers who teach that when you believe in Jesus Christ, you don’t have to obey GOD’s Law of Moses. That is the doctrine of the deceiver satan just as he deceived Adam and Eve to disobey GOD. GOD does not have one law for Jewish people, and another law for Christians, and another law for Moslems, and other laws for other religions. GOD has one law for all His Creation. That Law is The Law of Moses that GOD gave to the Jewish People and all the world. And The LORD GOD requires all His Creation to obey it. That is His Command. Why won’t the majority of Bible teachers teach obedience to GOD’s Law of Moses, rather than give lame and ungodly excuses not to obey it, 1 John 3.4? Why won’t they teach that the result of sin, breaking GOD’s Law of Moses is death? Why won’t they teach that Yeshua is our Atonement, and not a license to sin and break GOD’s Law of Moses? Why won’t all Bible teachers teach GOD’s Law of Moses that is so vigorously taught throughout The Bible, for the good of their Congregation, and for their own good. Verse 19 The Kingdom of Heaven is GOD, and everywhere GOD rules. He rules in Heaven, and He rules on earth. And He also rules in hell. Hell is the least of the Kingdom of Heaven. GENESIS 6.5-9 GOD destroyed the world by a great flood because of sin, disobedience to GOD. Only Noah who obeyed GOD, and his family were saved. VERSE 5 Wickedness in Hebrew is RAH meaning evil, and disobedience to GOD. Iniquity in Hebrew is also RAH, meaning sin and wickedness. Nothing good comes from violating GOD’s Law of Moses. And that is sin. Troubles, evils, and curses come from disobedience to GOD and His Laws. satan’s mission is to turn us away from GOD, from obeying Him, and His Law of Moses. And satan has done a great job. VERSE 8 Her nakedness is her shame. Sin and death did not start with the Jewish people. Adam and Eve were not Jewish. Nor was Noah and his family Jewish. And the people of Sodom and Gomorrah were not Jewish. But GOD has given the world the Jewish Messiah Yeshua to Atone for the sins of mankind. And GOD uses the Law He gave to the Jewish people, The Law of Moses, which GOD has also given to all mankind to be Right with GOD when they obey it. Thus preventing us from sinning against GOD. That is GOD’S love. VERSE 5 Mankind has transgressed The Laws. Transgressed in Hebrew is AH’VAHR, Meaning mankind has REMOVED The Laws. They have REMOVED GOD’s Torah, His Laws, His teachings, and His instructions. VERSES 8 & 10 The devil deceived them. Deceive in Greek is PLAN-AH-O meaning, satan causes people TO GO ASTRAY. SATAN CAUSES THEM TO ROAM FROM THE TRUTH. THE TRUTH IS THE WORD OF GOD, HIS LAW OF MOSES. VERSES 12 & 13 According to their works. Their works are, Did they obey GOD by being obedient to His Law of Moses? And believing in Yeshua The Messiah is part of Torah, That is being perfectly Torah Observant, believing in Yeshua, and keeping Torah. Posted on November 17, 2013 Categories Uncategorized12 Comments on SIN IS? GOD, THE PRIESTHOOD, THE BREASTPLATE, THE URIM AND THUMMIM, AND THE WASHING OF FEET. Shalom. Our teaching this morning will be from Exodus 28.1-15. This section reveals GOD’s anointing of the Priesthood, the clothing they wore to serve GOD in the Sanctuary, which included the ephod, the breastplate, and the urim and thummim, the device for obtaining GOD’s decisions on important questions. And also, we will discuss and explain why Messiah washed the Disciple’s feet at the Passover Seder, or the Last Supper..
EXODUS 28.1 The first Priesthood, or the first Priests who were anointed by GOD to serve The LORD in the Tabernacle were Aaron, the brother of Moses, and Aaron’s sons, Nadab, Abihu, Eleazar, and Ithamar. GOD anointed them Kohanim, the Hebrew for Priests. And all the male children that descended from Aaron and his sons over the years were automatically appointed Kohanim, or Priests. The Priesthood was an inheritance from GOD. The word anointed in Hebrew is MAH’SHAKH, meaning to be Consecrated. Consecrated to GOD. That is to be Dedicated to the Service of The LORD GOD of Creation. Aaron and his sons, and their descendants after them were anointed by GOD to serve The LORD as Priests in the Tabernacle. Messiah in Hebrew is MAH’SHEE’AKH which comes from the Hebrew MAH’SHAKH, the word for anointed. MAH’SHEE’AKH, or Messiah also means Anointed, and Consecrated to GOD, and Dedicated to the Service of GOD. And one of Messiah’s anointings was to be our Atonement for our sins, all of them, which He accomplished by His death and His shed blood. ISAIAH 53.10, DANIEL 9.26, LEVITICUS 17.11, THE NEW TESTAMENT. And at Messiah’s future return to set up the 1,000 year Messianic Kingdom in Israel, Yeshua The Messiah is anointed by GOD to be King over all the earth. And Yeshua is Elohim. Zechariah 14.9, Deuteronomy 6.4. EXODUS 28.2 So GOD commanded Moses to have Holy Garments made for Aaron, the first High Priest, for glory, and for beauty. The separate place is the Temple building. The north and south chambers or rooms were used by the Priests to eat the Holy things; the grain, and the animal sacrifices. And the Priests were commanded by GOD to leave their Holy Garments in those rooms, for the garments are Holy. And they were to put on other garments before ministering to the people. Thus the Holy Garments for the Priests were only to serve The LORD in the Sanctuary where the Holy of Holies was, and the Ark of the Covenant, and the Showbread, and the Seven Branch Menorah that was lit continually were. EXODUS 28.3 Wise hearted in Hebrew is KHAKH’MAY-LAYVE, meaning skillful and wise of heart. The wise of heart whom GOD filled with the Spirit of Wisdom made Aaron’s Holy Garments to Consecrate him to minister to The LORD as Priest. Consecrate in Hebrew is KAH’DAHSH, meaning to Serve The LORD. And to Serve Him especially as Priest. Minister in Hebrew is KAH’HAHN, meaning to Minister, and Serve The LORD. EXODUS 28.4 These were the Holy Garments that were worn by the Priesthood when they served The LORD in the Tabernacle, and later in The Temple. A breastplate, an ephod, and a robe, and a broidered coat, a mitre, that was a turban. A turban is a long scarf wound around the priest’s head. And part of the Holy Garment was a girdle that was a decorated belt. EXODUS 28.5 The Holy Garments for the Priests for glory and beauty were made of gold, and blue, and purple, and scarlet, and fine linen. EXODUS 28.6-7 The ephod was similar to an apron that was worn over Aaron’s robe and coat. And the ephod was made of gold, blue, purple, and scarlet, and fine twined linen, with cunning work. Meaning the ephod was made with beautiful needlework. EXODUS 28.8 The curious girdle was a decorated belt or band of the ephod that was made of the same workmanship as the ephod, of gold, blue, purple, scarlet, and fine twined linen. EXODUS 28.9-11 An onyx stone is a precious gem. According to Webster’s Dictionary, an onyx stone is a chalcedony stone that has bands of different colors. The same stone and precious gem that will decorate the third foundation of the 200 foot high wall that will be in the Holy City, New Jerusalem that will come down from GOD out of Heaven soon after the close of the 1,000 year Millennium. EXODUS 28.9-11 And the names of the children of Israel according to the twelve tribes engraved on the onyx stones that were put on the shoulders of the ephod, are Reuben, Simeon, Levi, Judah, Dan, and Naphtali, on one stone. And Gad, Asher, Issachar, Zebulun, Joseph, and Benjamin on the other stone. EXODUS 28.12 The word memorial in Hebrew is ZEE’KAH’RONE, meaning to remember. EXODUS 28.13 Ouches of gold are settings or frames of gold for the onyx stones. EXODUS 28.14 Two braided chains of pure gold were attached to the gold settings with the onyx stones with the twelve engraved names of the children of Israel. And two gold chains were also attached to the breastplate. Verse 25. The Holy Garments that the Priests wore consisted of a breastplate, an ephod, a robe, a broidered coat, a mitre, or turban, and a decorated belt. But no mention is made of any footwear. Thus, it is thought that the Priests ministered to The LORD in the Sanctuary barefoot, for the place where they stood was Holy Ground. Perhaps the Priests washing their feet before appearing before The LORD in the Sanctuary and Temple barefoot because they would stand on Holy Ground, explains why Messiah Yeshua washed the feet of His Disciples at the Passover Seder, or the Last Supper. Because His Disciples stood on Holy Ground in the Presence of GOD, Yeshua The Messiah. Yeshua said to Peter in Verse 7, You don’t understand yet what I’m doing, but in time you will understand. Because they will be Priests to GOD in The Millennium and in Heaven to serve the Lord God, Yeshua the Messiah forever. Back on earth today, some of the descendants of Aaron take their shoes off in the Synagogue when they recite the Aaronic blessing. EXODUS 28.15 Let’s read about the breastplate of judgment, or the breastplate of decision in Verses 15-30. EXODUS 28.15-30 So the breastplate was made of a woven design similar to the ephod; of gold, blue, purple, and scarlet, and fine twined linen. And it was square. The breastplate was folded in half to make a pouch-like pocket about 9 inches square, and had in the front, four rows of precious stones with the names of the Children of Israel engraved in them. igure, which is a precious stone, perhaps an orange zircon. And also an agate, and an amethyst. And in the fourth row, a beryl, an onyx, and a jasper. All set in gold settings. All with the names of the Children of Israel, twelve, like the engravings of a signet ring, every one with his name according to the twelve tribes of Israel. And the breastplate was secured by four gold chains. Two gold chains were attached to the two gold settings on the shoulders of the ephod with the onyx stones having the names of the Children of Israel. And the lower two gold chains were attached to the decorated belt of the ephod. And Aaron the High Priest, and the High Priests that came after him, carried the names of the Children of Israel in the breastplate of judgment upon his heart when he went into the Sanctuary. Thus The LORD GOD was reminded of the children of Israel continually. Exodus 28.29. EXODUS 28.30 The breastplate of judgment, or the breastplate of decision. Thus the urim and thummim were put inside the breastplate. THUMMIM in Hebrew is TOO’MEEM. Meaning Perfections. It is assumed that when mention is made of asking GOD’s counsel, it was sought through urim and thummim. (1 Samuel 10.20-24) Saul was shy to become King of Israel. PROVERBS 16.33 The decisions of man are of GOD. And the outcome is decided by GOD. A couple of notes of interest regarding the urim and thummim. 1) They were unknown objects even to this day. 2) And the urim and thummim were not in the Second Temple. And when we are with The LORD our GOD, Messiah Yeshua in The Millennium, and in Heaven, we will be Kings and Priests serving The LORD GOD of Creation, Yeshua the Messiah . And EXODUS 19.5-6 will be fulfilled. Obeying GOD is so important. Obeying His Laws that are written in The Law of Moses is so very important. Posted on November 10, 2013 Categories Uncategorized321 Comments on GOD, THE PRIESTHOOD, THE BREASTPLATE, THE URIM AND THUMMIM, AND THE WASHING OF FEET. WHAT DOES IT MEAN TO BE HOLY BEFORE THE LORD? Shalom. Our teaching this morning will be from Exodus 28.2. EXODUS 28.2 Moses was commanded by GOD to have Holy Garments made for his brother Aaron the high priest, for glory and for beauty. Garments that were dedicated to GOD for a man set apart, and himself dedicated to GOD. The subject of our teaching this morning will answer the question, What does it mean to be Holy before The LORD? It has been said, and in all likelihood it’s true, that the subject of a teaching must answer at least four questions; What, Where, How, and Why. What does Holy mean? Where does Holiness come from? How do we become Holy? and Why is it so important to be Holy? The first question is What does Holy mean? There are at least three Hebrew words for Holy. And at least two Greek words for Holy. Hagios and Hosios. All are similar in meaning. Being Holy before The LORD means set apart, doing as The LORD GOD does; that is living our life as Yeshua The Messiah lives His Life. For The LORD says, you shall be Holy, for I The LORD your GOD am Holy. Being Holy also means submitting to GOD, being submissive to The LORD, or humbly obedient to The LORD your GOD Who is Yeshua The Messiah. How? By being submissive to GOD’s Laws that are written in The Law of Moses. Obedience to GOD’s Laws Removes You From Sin Because Sin Is Breaking The Law Of Moses. 1 John 3.4. And atonement for our sins comes by believing in Yeshua The Messiah. Being Holy is also being separated to GOD, and devoted to GOD, set apart for His use and purpose. (Leviticus 20.7-8) Sanctify in Hebrew is KAH’DASH meaning to be Holy and dedicated to GOD. Statutes in Hebrew is KHOO’KAH meaning Law. GOD says, you shall keep My Laws. VERSE 26 The LORD has severed you from other people that you should be His. These words are so heartwarming, gratifying, and uplifting. Severed in Hebrew is BAH’DAHL meaning GOD has SEPARATED you from other people, and SET YOU APART that you should be His. And GOD has SELECTED you, and DISTINGUISHED you, meaning, GOD has recognized you as DISTINCT, and DIFFERENT from other people because you are His. Because you are Holy, submissive to the LORD your GOD. The meaning of Holiness never changes. It does not mean one thing in Tnakh, The Old Testement Scriptures, and another thing in The New Testament Scriptures. The LORD GOD commands us, “You shall be Holy, for I The LORD your GOD am Holy”. That is a commandment for every believer in The Messiah. Zecharias, the father of John the baptizer was a Jewish Priest, or a Jewish Kohane, and he was part of the Priesthood. He served in The Temple. He was a Levite, a descendant of Aaron and his sons. And he instructs us to serve GOD in Holiness and righteousness. Both words meaning submission to GOD in obedience to His Torah, The Law of Moses. Paul teaches the same. We must become a new person living our lives in righteousness and true Holiness. Did you know that The Law is spoken of in The New Testament some 217 times? More than the word Church that is written 127 times. And more than the word Christian that is written 3 times. More than the word Jew or Jewish that is written in The New Testament 175 times. But The Law, having the Greek word nomos meaning The Law of Moses, is written in The New Testament 217 times because it is Holy. And The Law will always be Holy. You shall be Holy, The LORD says, for I The LORD your GOD AM Holy. Being Holy is obeying GOD and His Laws that are written in The Law of Moses, being set apart for GOD’s use. Old Testament teaching, and New Testament teaching requirements for being a Holy People unto The LORD our GOD are the same. Those requirements are keeping all His Commandments that are written in The Law of Moses making us high above all nations in praise, and in name, and in honor to be a Holy People unto The LORD our GOD. So the next question, How do we become Holy has been answered. We become Holy by obeying the Commandments of The LORD as written in The Law of Moses, and walking in all His ways. Commandments in Hebrew is MEETS’VOTE meaning, Collectively the Law of Moses. Of course being Holy is believing in Yeshua The Messiah. That is crucial. Yeshua The Messiah is very much part of The Torah, The Law of Moses because Yeshua The Messiah is The Torah, the Law Of Moses. He is The Word spoken in The Torah. John 1.1. Yeshua The Messiah is GOD, The Holy One of Israel, The Creator of Heaven and earth. The Jewish Son born as a human being to the Jewish people. He is The Mighty GOD, The Everlasting Father, The Prince of Peace. Isaiah 9.6(5). He was born in Bethlehem Ephratah in Judah Who will be Ruler in Israel, Who is from Eternity, having no beginning or end. Micah 5.2(1). He is The Jewish Messiah Yeshua, Who is Elohim, and Jehovah. And He is also our Atonement, GOD Himself in human flesh, for the forgiveness of our sins, all of them. Yeshua is the spoken Word in The Torah, the Written Law of Moses in The Bible. He is The Word of GOD. He is Elohim, and He is Jehovah, YHVH, Ha Shem. In The Torah alone, the first five books of The Bible, GOD Elohim is written some 786 times. And The Lord Jehovah, Ha Shem is written some 1,881 times. Yeshua The Messiah, Who is Elohim, and Jehovah, Ha Shem, The LORD our GOD is written some 2,667 times just in The Torah alone. And that does not include His other Names, GOD Almighty, or I AM that I AM, and many of His other great Names. Nor does that number include the hundreds of Messianic Prophesies in Tnakh, The Old Testament that are ALL fulfilled in Yeshua The Messiah. Therefore being Holy before The LORD your GOD Must Include Belief In The Messiah Yeshua Who is Jehovah Elohim. Thus when we submit to GOD’s Law of Moses, we are being obedient to Yeshua The Messiah, The GOD of Creation, The One Who met with Moses in the Holy of Holies in The Tabernacle in the wilderness, and spoke to Moses from above the mercy seat, from between the two cherubim which were on the ark of the covenant where GOD spoke to, and gave Moses all His Laws that are written in The Law of Moses. Exodus 25.21-22. The New Testament is the fulfillment of GOD’s promise to the Jewish people and to all peoples. His promise for Atonement. Yeshua The Messiah is our Atonement. Messiah is truly the Day of Atonement. Isaiah 53.10, Daniel 9.26. Next question. Where does Holiness come from? It is The LORD Who Sanctifies us. And it is The LORD Who makes us Holy and sets us apart for His purpose. Leviticus 19 is an excellent Chapter on Holiness. 19.1-2 Our being Holy, especially for the Believers in The Jewish Messiah Yeshua, is not an option. It is a Commandment of GOD. 19.3 GOD’s Sabbaths are the weekly Saturday Sabbaths, and the Sabbaths of The Feasts of The LORD written in Leviticus 23. 19.15 Do not corrupt justice. But by righteousness according to Torah you shall judge your neighbor. 19.16 Do not spread false rumors. Do not stand by the blood of your neighbor. I.E., do not ignore bloodshed that prevents charges from being brought against the perpetrator. 19.17 You shall rebuke your neighbor when he/she sins so you will not carry sin in your heart because of him. 19.19 You shall keep My Statutes, My Laws. 19.20 She shall be investigated, not scourged. 19.27 Do not round the corners of your heads, nor mar the corners of your beard means do not shave your sideburns. 19.37 Therefore you shall observe all My Statutes, and all My Judgments, and do them, I AM The LORD. That is Holiness. That is being Holy before The LORD your GOD. – Violating, or breaking The Law of Moses is unholy. – Profaning GOD’s Holy things is unholy. Those who violate, dishonor, and disrespect GOD’s Holy things that are written in His Torah, The Law of Moses, profane GOD’s Holy things. They are unholy. – Being unholy is putting no difference between the Holy and the profane. That is, the unholy put no difference between GOD’s Law of Moses, and breaking His Law of Moses. Matthew 7.23. – The unholy show no difference between the unclean and the clean. The unholy violate GOD’s dietary Laws written in Leviticus 11 and Deuteronomy 14. – The unholy reject GOD’s Sabbaths, His weekly Saturday Sabbath and His Festival Sabbaths written in Leviticus 23. – And the unholy profane The LORD GOD among themselves. They disrespect, blaspheme, violate, and defile The GOD of Creation, Yeshua The Messiah, The Holy One of Israel. VERSES 26-31 might sound familiar. Next and final question. Why is it so important to be Holy? HEBREWS 12.14 answers that question. VERSE 8 Wayfaring men are those men and women who walk a course of life (in Holiness). Fools as opposed to prudent and wise. The foolish who are not Holy will not even stray onto that highway, The Way of Holiness, the Way to The Millennium and Eternity. (1 Peter 1.2) Through Sanctification of The Spirit means being made Holy by GOD to obedience to GOD. So being Holy according to The Scriptures is keeping The Statues and Commandments of The LORD that are written in The Law of Moses, and doing them. And being Holy is dedicating yourself to The LORD your GOD in your everyday life, with your family, your work and employment, set apart for GOD’s purpose. And Holiness is obedience to GOD’s Law of Moses that removes you from sin. 1 John 3.4. And it is The LORD your GOD Who has Sanctified you, and made you Holy, giving you an inheritance of Eternal Life in Heaven among all them that are Sanctified and Holy. Posted on November 3, 2013 Categories Uncategorized13 Comments on WHAT DOES IT MEAN TO BE HOLY BEFORE THE LORD?